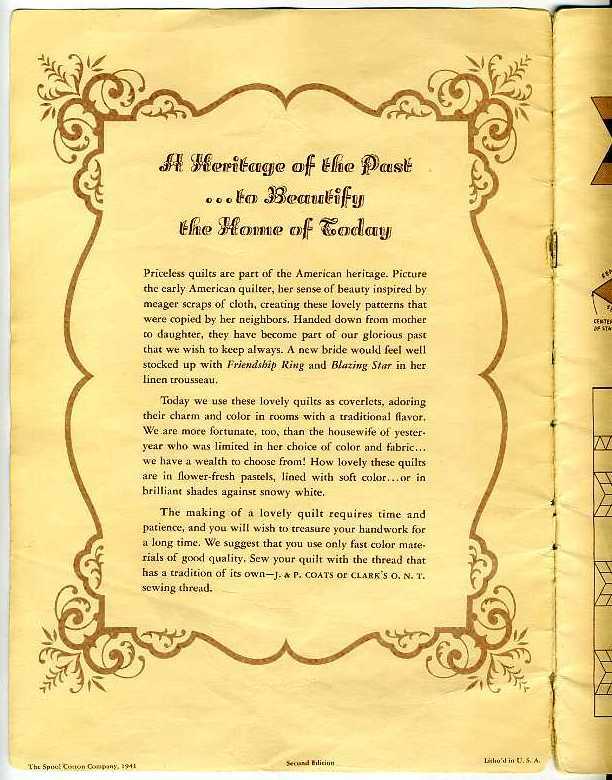 "These belonged to Grandma Earl. 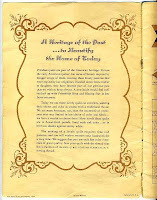 Enjoy!" 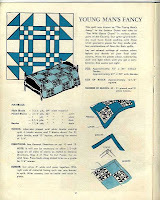 Inside were two very old pattern booklets and a few loose pages. 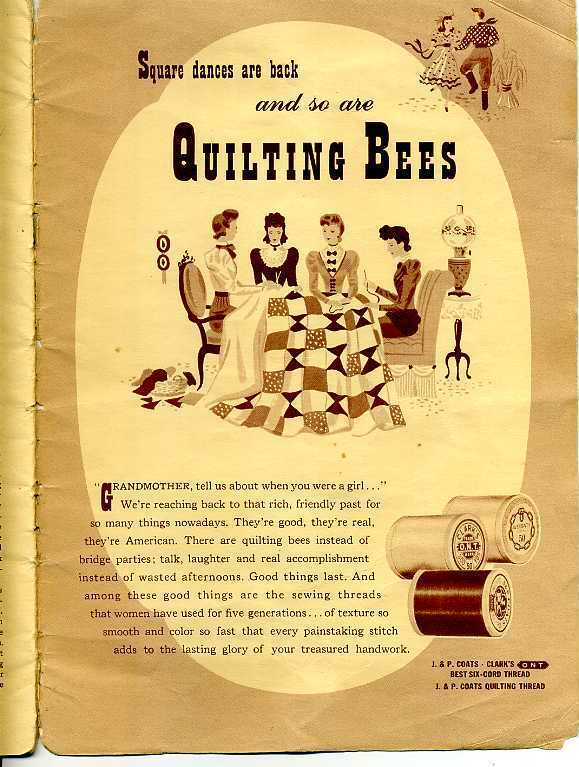 What a lovely surprise, especially since they were my grandmother's. 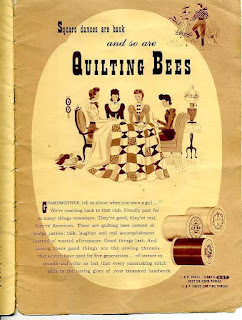 (My mother's mother, who made most of the quilts I grew up with and several of the ones I have in my home.) 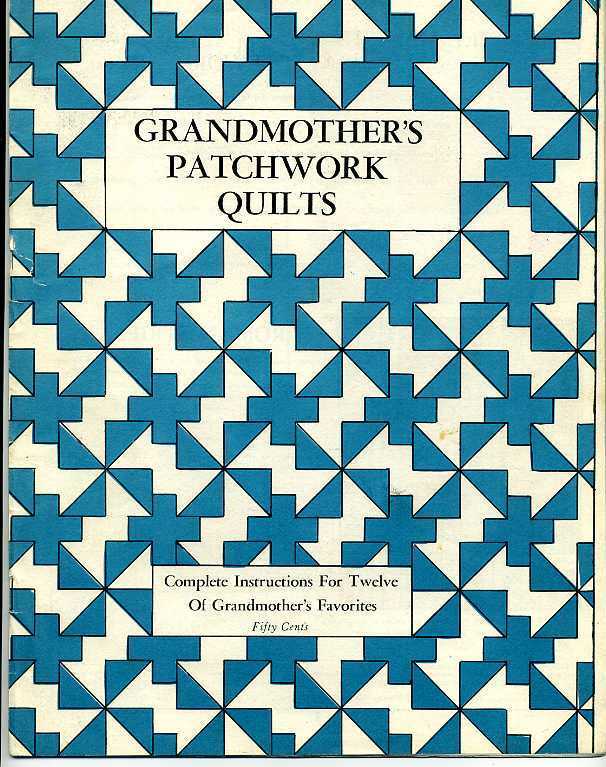 Raylene and her family don't quilt, so it was very generous of her to send the booklets to me. 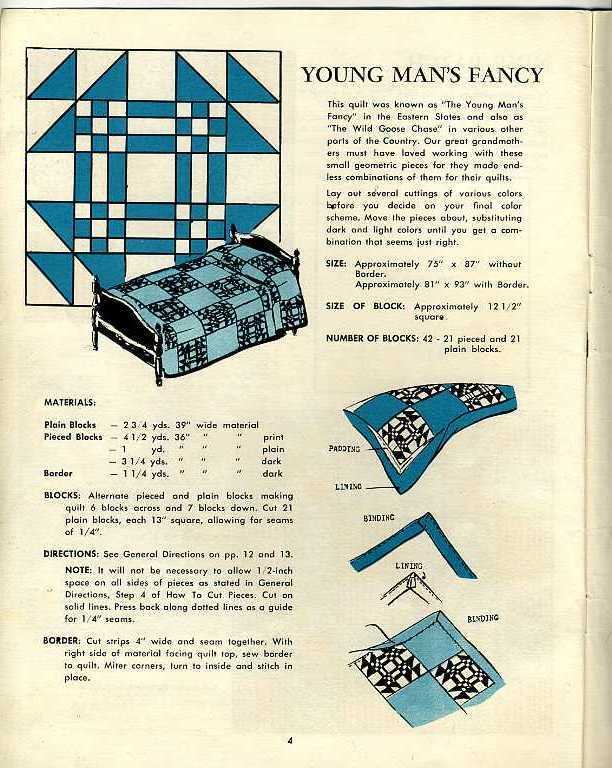 Grandmother's Patchwork Quilts includes a number of traditional quilt patterns. I'm usually not a huge fan of floral patterns, but this stylized flower is intriguing. 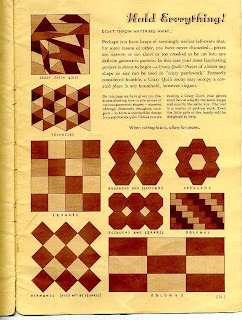 I love all the different shapes in the pattern and how they could be manipulated through the use of color. 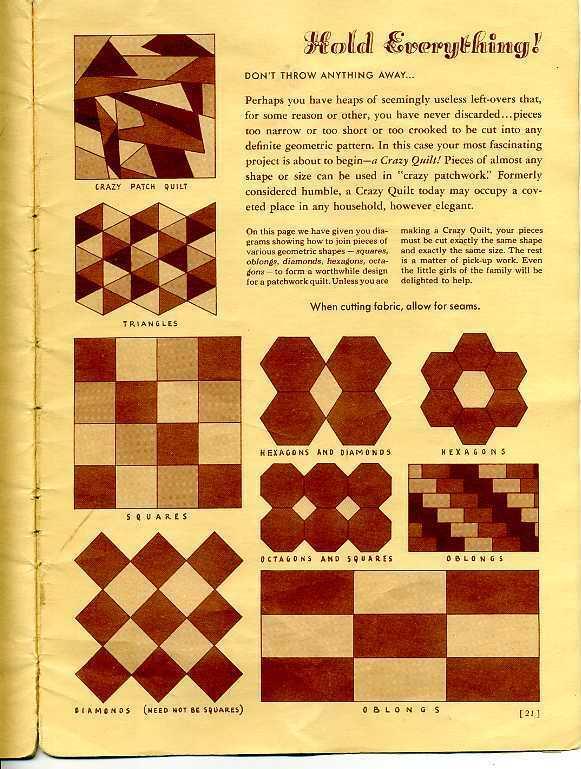 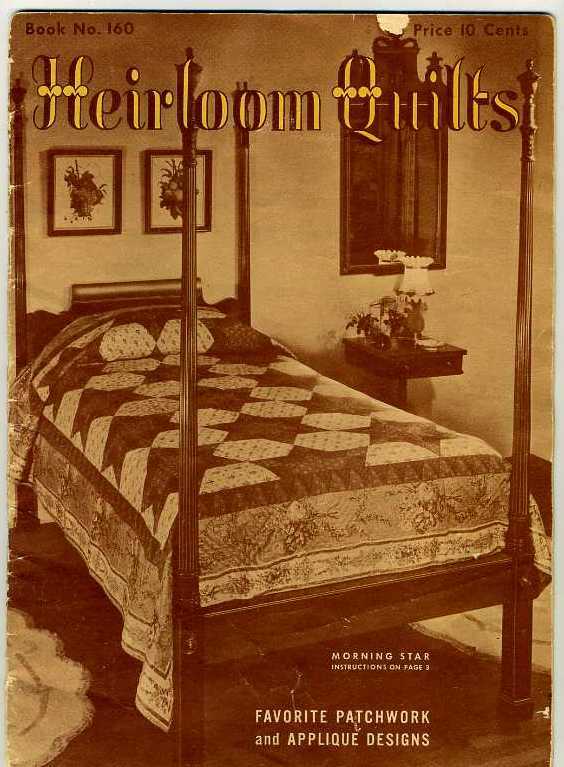 Heirloom Quilts was published in 1941 and sold for a whopping 10 cents! 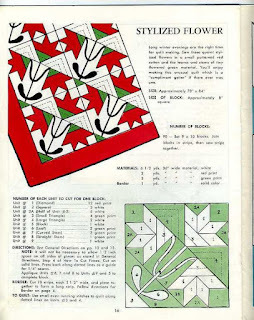 The page on crazy quilts includes a couple of blocks that have a strikingly modern look -- like the Crazy Patch Quilt and the oblongs. 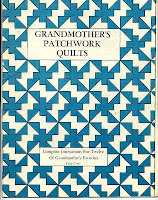 I'm pleased to be able to add these to my quilting library, and my thanks to my cousin for sending them along!